Underlined text links to source material. John Muir observed that if you pulled on any one thing in nature, you found it was connected to everything else. That is certainly true for terriers whose history is deeply connected with sheep, game farms, poaching and mounted fox hunts, which in turn are deeply connected to the Enclosure Movement and land clearances of the 18th and 19th Century. What follows is a short pictorial history of terriers that attempts to put the development of this type of dog within the economic, social and political developments that have shaped man, dog, and land alike. 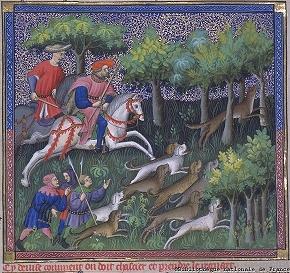 Count Jacques du Fouilloux's book La Vernarie (The Art of Hunting), was the first book to accurately describe hunting quarry underground with dogs. 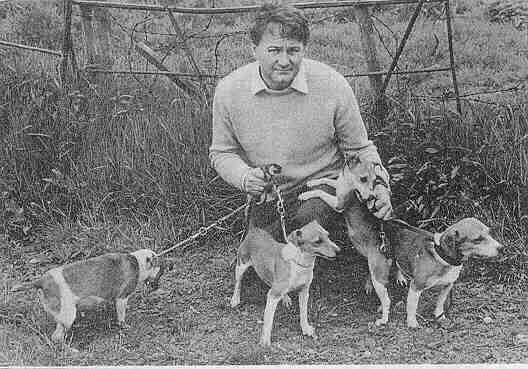 The dogs used were described as "bassetts" and were probably small dachshund-like hounds. Near the ruins of Hadrian's Wall, archeologists have discovered the remains of two very distinct types of dogs -- a mid-sized coursing dog about the size of a large whippet or small greyhound, and long low-slung dogs with small chests that appear to have been dachshund-like in appearance. 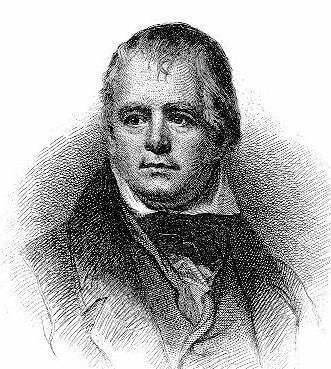 Sir Walter Scott was the first person to write about a specific breed of fox-hunting terriers -- "mustards" and "peppers" which later became known as the "Dandie Dinmont" terrier. The novel Guy Mannering, which features Dandie Dinmont as a minor character, is essentially a travel novel about fox hunting in the border region. 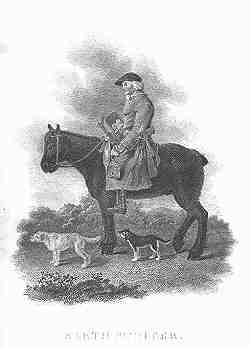 Reverend John ("Jack") Russell organized some of the very first mounted fox hunts in the U.K., just as the Enclosure Movement was forcing large numbers of people off the land and into the towns and cities. This "revolution of the rich against the poor" is one of the roots of the current animus toward mounted hunts in the UK. As people were pushed off their historical lands, they were forced into poverty in the cities and towns. Trump, a quite ugly dog. John Russell's first dog, "Trump," was bought for looks alone. Tied to a milkman, and bought on a whim while out walking, "Jack" Russell had no way of knowing if this dog could actually hunt. The only picture of Trump that exists was painted more than 50 years after the dog had died. The painting was commissioned by the Prince of Wales (King George VII) who came to consider the Reverend Russell a friend, and the picture still hangs at Sandringham castle. The "14-inches tall" description of Trump that is commonly cited comes from a description of the painting, but in fact there is nothing in the painting that gives any indication of the dog's real height in life. The putative 14-inch height appears to be a wild guess based on the shoulder height of an adult fox. A fox and a dog are built very differently, however, and a 14-inch tall dog would have chest at least two or three inches larger than a similarly-sized fox. Going on the size of working dogs in the UK today, a more likely guess is that Trump was somewhere between 12 and 13 inches tall. The notion that mounted fox hunting is principally about fox control is wrong. 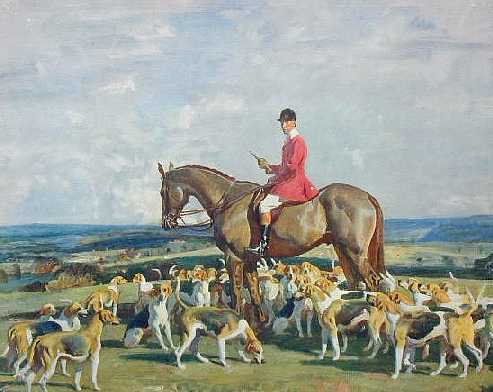 The Reverend Russell, who organized or rode with many of the very first fox packs in England, spent much of his time trying to get people to stop killing fox so their populations would increase and he could find them and chase them more easily. One way to discourage fox from going to ground was to employ an earthstopper whose job it was to block fox and badger dens late at night or very early in the morning so that the returning fox would have nowhere to go, and could not escape underground. "Instead of recommending cleanliness to the poor, we should encourage contrary habits. In our towns we should make the streets narrower, crowd more people into the houses, and court the return of the plague. In the country we should build our villages near stagnant pools, and particularly encourage settlements in all marshy and unwholesome situations. But above all, we should reprobate specific remedies for ravaging diseases: and those benevolent, but much mistaken men, who have thought they were doing a service to mankind by projecting schemes for the total extirpation of particular disorders. If by these and similar means the annual mortality were increased ... we might probably every one of us marry at the age of puberty and yet few be absolutely starved." 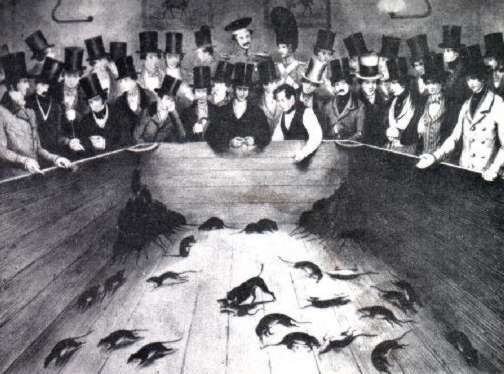 The Rat Pits flourished after the Enclosure Movement of 1750-1850 forced millions of poor people off the land and into the cities where they were hungry for entertainment and often living in conditions almost as brutal as those of the rats. 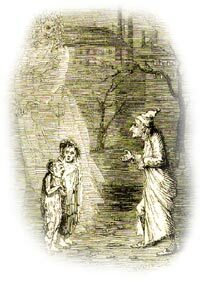 The Poor Law Amendments Act of 1834 started the work house system later made famous by Charles Dickens. Across England hundreds of thousands of people died premature deaths from diseases that flourished in the rat-infested squalor of cities where sewage, water and trash systems were incapable of keeping up with rural-to-urban migration pressures. 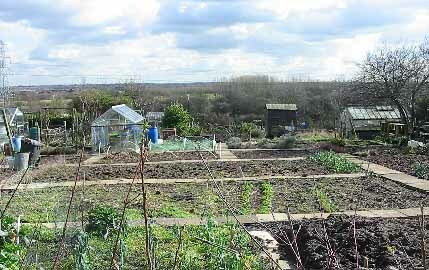 Two hundred years ago much of rural England was swept clean of subsistence agriculture and human settlement. 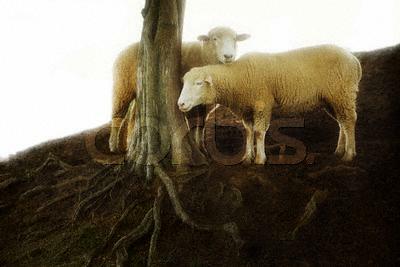 Most large woods were cut down and the land was repopulated by sheep hemmed in by stone walls and thick hedges. The idyllic beauty of this landscape obscures the grinding suffering that occurred as a direct result of the Enclosure Movement. Every part of the United Kingdom was effected by this "rich man's land grab" including England, Scotland, and Ireland. In England some 6 million acres or one-quarter of the cultivated acreage was enclosed by direct act of parliament. Another 4 to 7 million acres are estimated to have been enclosed privately. Resentment and rebellion seethed just under the surface -- a fact not missed by the young Karl Marx. Between 1750 and 1850 the velocity of the Enclosure Movement was quickened by the rise of a new sheep economy. This economy, in turn, was improved by the Enclosure Movement as new and improved sheep breeds were developed by people such as Robert Bakewell (1725 -1795). Prior to Bakewell, livestock of both sexes were kept together in the fields and were bred at random. Bakewell separated males from female, allowing only chosen animals to breed. By deliberately inbreeding livestock, and selecting for desirable traits, Bakewell created new and "improved" breeds of sheep. 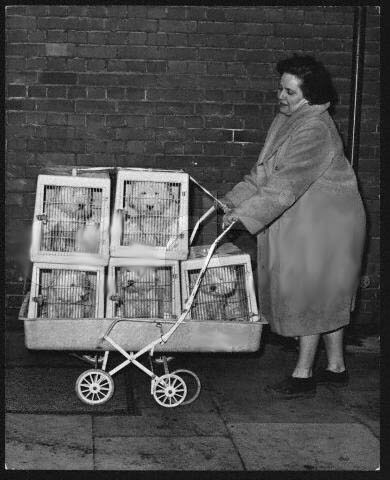 Selective breeding of sheep spilled over into other farm stock and eventually into the world of dogs. With the Enclosure Movement, came restrictions on hunting on lands that had once been part of "the commons." The Game Laws of 1816 limited the hunting of game to landowners: pheasant, partridge, hares and rabbits. The penalty for poaching was "transportation" for 7 years. i.e. you were sent overseas, and if convicted a second time you were never allowed to return. The Poor Law Amendment Act of 1834 - An Act for the Amendment and better Administration of the Laws relating to the Poor in England and Wales is one of the most significant laws in British history. After the rural poor were forced off of the land that they depended on for survival, this law set up work houses that were designed to dampen down the the social unrest that was was the byproduct of shifting an entire nation from subsistence agriculture to a wool-exporting economy. Reverend John Russell counted among his most important work the raising of money for the North Devon Infirmary which provided health care to many of the people made poor made by the seizure of lands to form large estates. Ironically, it was on these same large land holdings that the Reverend Russell often hunted. With the enclosure of fields, farm stock could be contained and controlled breeding rapidly produced superior animals -- a phenomenon observed by Charles Darwin and which led, quite directly, to The Origin of Species. 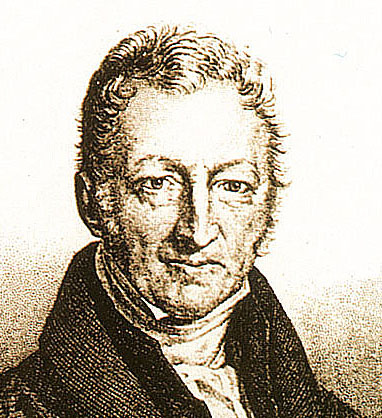 Darwin credited the Reverend Thomas Malthus for sewing the seeds of his thoughts, but much of his observations also came from watching selective breeding of domestic stock made possible by field enclosure. Yorkshire Stone walls cut up the countryside. While hedges enclosed fields in the South, stone walls enclosed fields in the North. 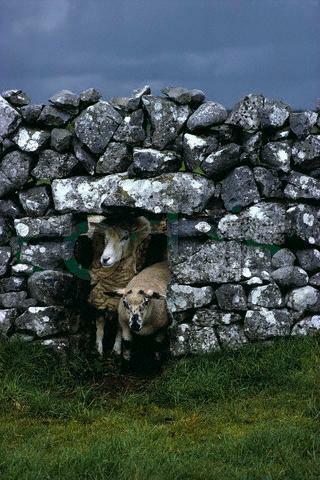 "Sheep creeps" (pictured at right, above) allow sheep and dogs to move through open gates in the walls while keeping out such larger stock as horses and cattle. Mounted fox hunting is about the chase and not the kill. In fact most of the mounted hunts have gone to extraordinary lengths not only to prevent fox deaths but also to encourage fox to live and breed on hunt lands. Not only are fox coverts protected, but fox are caught and released on depleted hunts lands, artificial dens are dug, and both leghold traps and most poisons have been banned in order to keep fox numbers up. 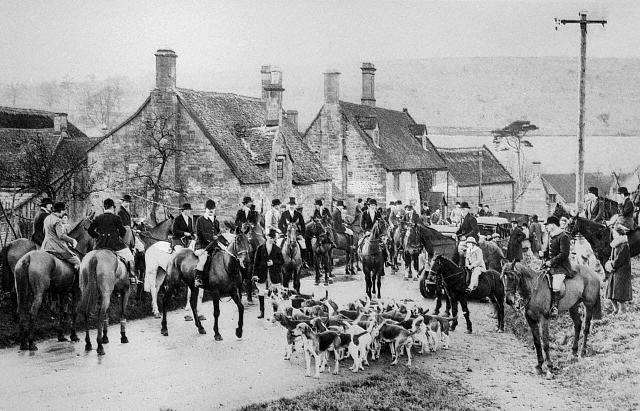 As a result of the efforts of the mounted hunts to discourage free-agent fox-culling by farmers, there are now more fox in the UK today than there were in Victorian and pre-Victorian times. Fox protection by mounted hunts is so deeply entrenched, in fact, that it has made its way into the language. 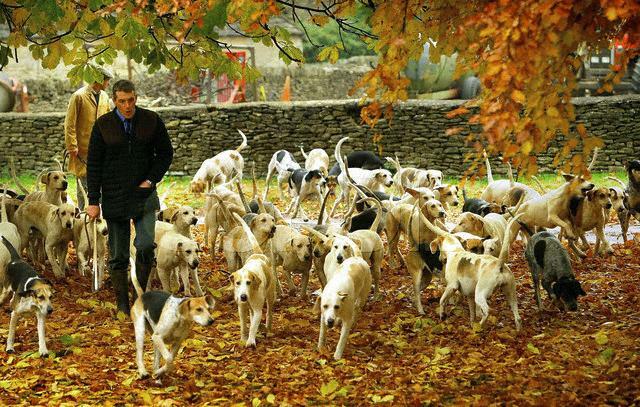 The Oxford English Dictionary defines "vulpicide" as "One who kills a fox otherwise than by hunting it with hounds." In Chapter 1 of Rudyard Kipling's Stalky & Co., MTurk berates Colonel Dabney for allowing vulpicide to occur on his lands, which is seen as a direct challenge to the sport of the local aristocracy. 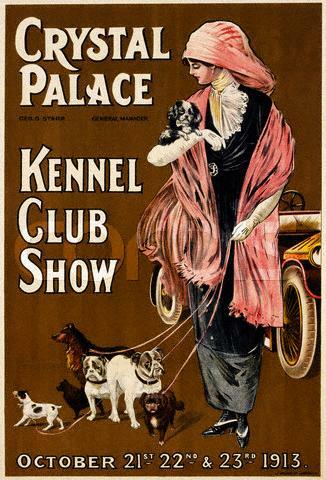 Dog shows were a way for the newly emerging middle class in the UK and the United States to try to bestow status, prestige and exclusivity on themselves. 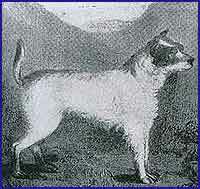 Most terrier breeds were either created or "improved and standardized" at this time. -- a direct result of the selective breeding practices learned with cattle, sheep, chickens and pigeons. Today's land "allotments" are vestigial remnants of the Enclosure Movement -- land crumbs allowed to slip off the table of the rich in order to prevent wholesale rioting by the urban and suburban poor in 19th Century England. The last wolf in the United Kingdom was killed in the 14th Century at Humphrey Head, Cumbria, but a few wolves lived on in Scotland and Ireland until they too were wiped out by the middle of the 18th Century. With the demise of the last wolf, the United Kingdom lost all of its primary predators other than man and feral dog. Mythology does not die easily, however, and in short order the attributes of the now-extinct English wolf were ascribed to the red fox -- a 12 to 20 pound meso-predator whose primary food sources have always been mice, rats and rabbits. Though it is commonly asserted that fox are a serious predator of sheep, the facts are otherwise. Despite decades of controversy and research, a red fox has never been filmed killing a lamb. Mortality during lambing is always high -- 10% is common even in heated sheds, and on cold and windy slopes lamb mortality can easily rise to 20 or 25 percent as wet newborns die of exposure to the cold and wind. Research by the Ministry of Agriculture suggest that disease and malformations are the cause of 16% of sheep mortality, starvation and exposure 35%, and infections 37 percent. Just 1 percent of sheep mortality is ascribed to predation by fox. Lambing season coincides with fox whelping season, however, and it is common to see fox roaming fields gobbling up after-birth and stillborn sheep carcasses. Fox biologist David MacDonald notes that "'Lamb survival on the Scottish isle of Mull, where there are no foxes, was no better than on the nearby mainland, where foxes occur and were hunted." While fox are too small to take an adult sheep, a much larger predator does roam the English countryside: loose and lost dogs. The National Farmers Union (NFU) estimates that at least 24,000 sheep are killed or injured by "sheep worrying" dogs every year. 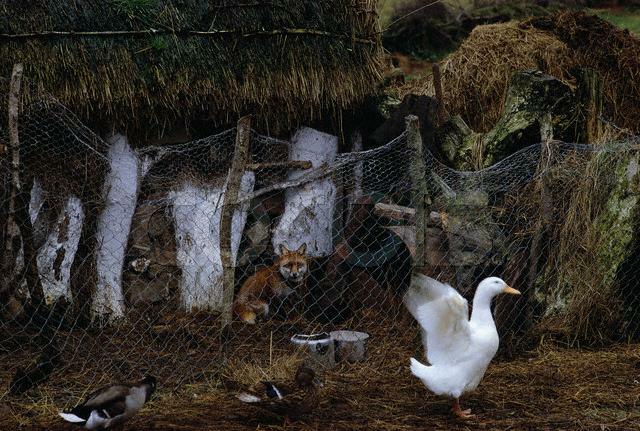 Fox are a serious predator of chickens, ducks, geese, and many ground-nesting game birds, and reductions in fox numbers has always been part of both gamekeeping for shoots, and conservation efforts designed to restore certain birds in depleted areas. 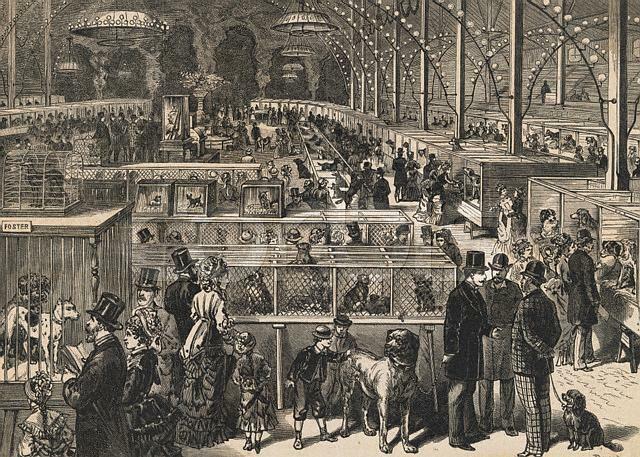 Reverend John Russell would not allow his own dogs to be registered, but his ego was sufficiently large that he became a founding member of the U.K. Kennel Club, and he served as an occasional dog show judge, most notably at a Crystal Palace show of 1874. 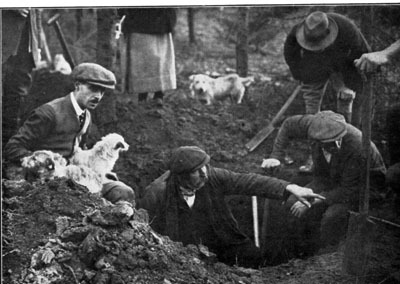 Captain Jocelyn Lucas, badger digging in the 1930s. Lucas' book on working terriers is still an excellent read, and a real field-survey of terrier work around the world as of the 1930s. 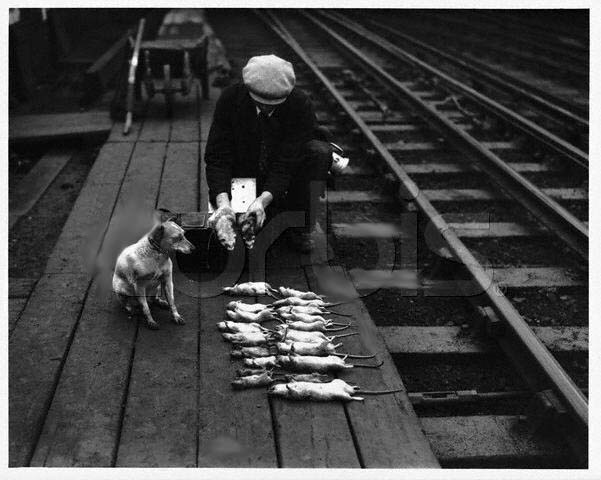 Ratting remains good sport for terriers, but with modern poisons and automatic animal feeding systems, rat populations are far thinner that they used to be, and good ratting areas are now much harder to find. With the rise of balanced and fortified dog foods, terriers reached their full genetic potential in size, which meant taller and heavier dogs. Large dogs are generally a liability for earth work. Badger digging was made illegal in the UK in 1973, and remains illegal despite a full recovery of the badger population. In 1950 the Myxomatosis virus was imported to the UK to control rabbit numbers, and it resulted in the death of 98% of all rabbits in the country. 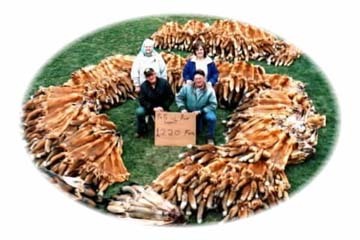 Fox populations collapsed, and ancient rabbit warrens and fox earths caved in from non-use. In order to provide sheltering dens for what fox remained, and in order to encourage these fox to stay on hunt lands, many new artificial earths were created. These artificial earths are a great deal bigger and easier to negotiate than a natural fox earth, and the availability of larger drains and artificial den pipes led to increased tolerance for larger dogs. 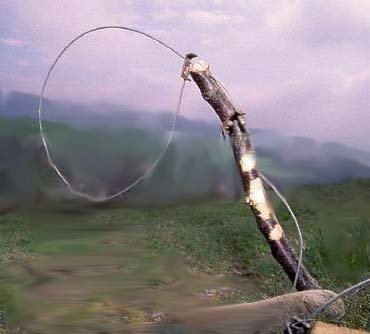 Running snares are used and sold by most gamekeeper supply companies. Night shooting is also employed to reduce fox numbers where required. While terrier work is a very inefficient way of controlling fox numbers, no method of fox control is more humane than digging down to a baying dog and dispatching the fox with a direct shot to the brain-pan. When terriers are employed, fox kits are never left to starve, nor are wounded animals ever left to run away and die a miserable death. Driving to standing guns is another very efficient method of fox control. 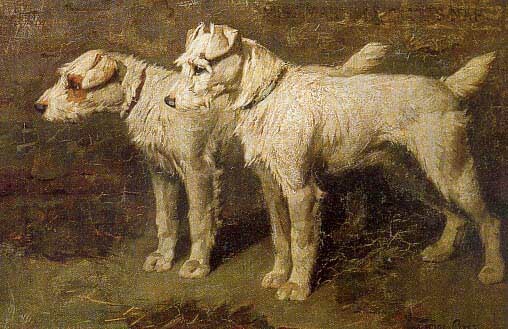 Colonel Malcolm of Poltalloch is supposed to have used these white dogs for fox hunting, but few -- if any -- West Highland Terriers work today. Another case of a once-worked terrier ruined by the show ring. The Patterdale, or slape-coated black fell terrier, developed by Cyril Breay and Frank Buck, is one of the newest working terrier breeds. Another is the Plummer Terrier (pictured at right) developed by Brian Plummer by crossing heavily-colored Jack Russell Terrier with an occasional pocket beagle (in order to improve scenting abilities) and bull terrier (in order to increase head size). Both terrier breeds are now threatened by Kennel Club registration which seems to inevitable lead to the prolific breeding of nonworking dogs and the exaggeration of nonworking characteristics. Hedgerows were the principal way of enclosing land in the South of England, and an entire industry was devoted to growing hazel and blackthorn for hedge cultivation. 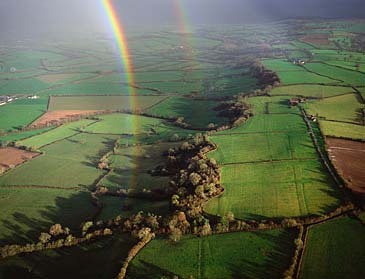 With most large forests area now gone, hedgerows became a principal cover for mice, rabbit, badger, fox and song birds. Unfortunately, under pressure from mechanized agriculture and road widening, many hedgerows are now falling to the bulldozer. During a single 10-year period (1984-1993), more than one-third of all of the hedgerows in the United Kingdom were lost -- a whopping 121,875 miles of destruction. 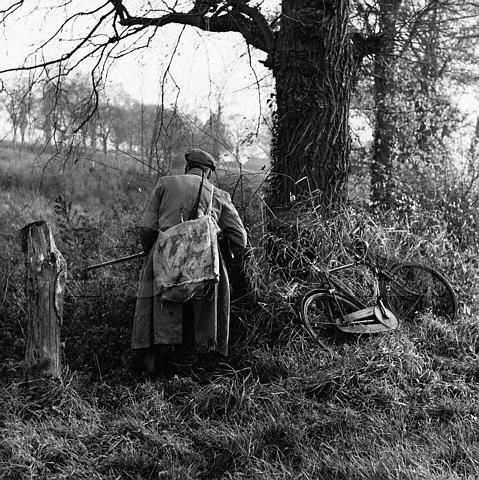 At least another 96,000 miles of hedgerow were lost in England from 1945 to 1984. Where land was very poor or rocky field enclosure was accomplished with miles of stone walls laid by roving bands of wall builders. Gamekeeper with motorcycle, lamp and rifle. Lamping with a rifle and scope is a very efficient method of fox control and lamping lights are sold by most gamekeeper supply companies. According to Professor Stephen Harris (Sunday Express, Sept. 22, 2002), about six times more fox are shot or snared in the U.K. as are taken by the redcoats, and about twice as many fox are killed by snare and gun as by terriers and lurchers. The most common demise of a fox, however, is as roadkill along the highway. If the goal is fox eradication from a given area, nothing is more efficient than leghold traps (or "gins," as they are called in the UK). In a 53-day trapping period this Maryland trapper brought in 1,220 fox. 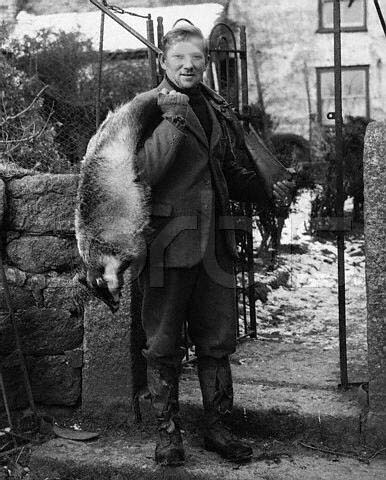 Assuming a UK trapper was only half as efficient over a similar period of time, just 40 men could reduce Britain's fox population by a number greater than the scores of thousands of people now engaged in mounted fox hunting. Because of their efficiency, mounted fox hunts in the UK have always opposed the use of leghold traps for fox -- a factor that helped lead to their national ban in the 1950s. Moderately heavy trapping and shooting does not seem to have much of an impact on fox numbers, however. With a surplus of food, red fox simply have larger litters and more kits survive, creating a population equilibrium in the countryside. As a consequence, Maryland's 53-day fox trapping season seems to have little or no impact on total fox populations within the state. 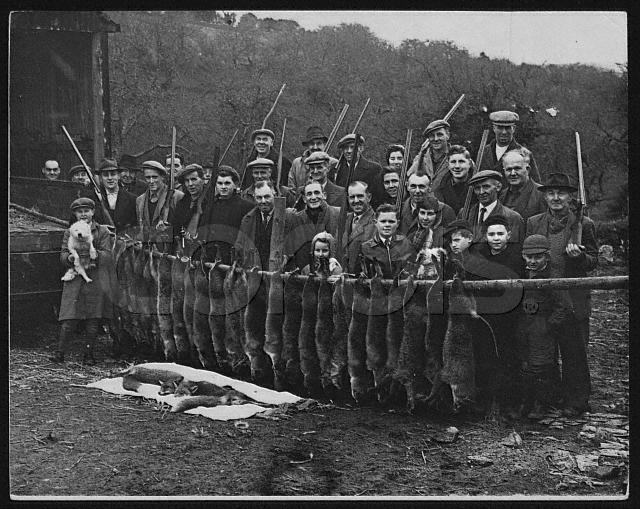 The trapper in the picture above has been working the same farms for years and fox are still plentiful in the area. George Washington hunted fox just outside of Washington, D.C., and Virginia remains the heart of mounted fox hunting in the United States. In the U.S., however, most red fox are not killed by either the hunts or the owners of working terriers -- they are left to bolt off so they can be hunted again another day. Americans have no objection to hunting or trapping -- over 30,000 fox a year are trapped every year in Virginia alone. When it comes to mounted fox chasing and in-the-ground terrier work, however, Americans have proven than very few fox need to be dispatched in order to have a good day in the field. The real agenda of "animal rights" organizations is a complete ban on all meat consumption. 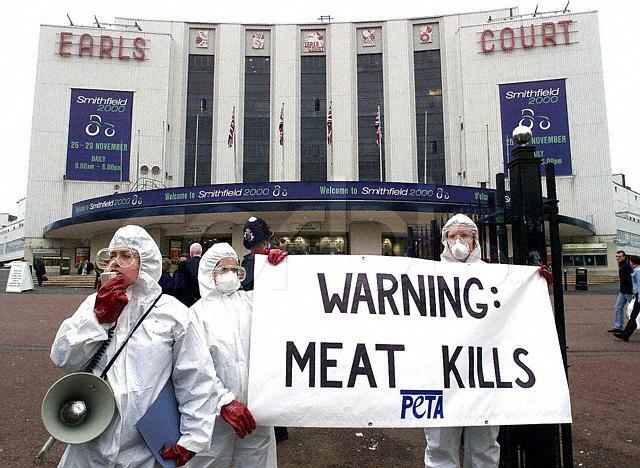 Here PETA protests in front of an Earls Courts (London) agricultural show. You will never see a PETA protest in front of an animal kill shelter. Why? Because the folks running the shelter would simply bring the dogs out on a lead, and turn them over to the PETA protesters to take care of. Taking care of a dog is a lifetime commitment, and PETA is not interested in that. Similarly, the Humane Society of the United States collects scores of millions of dollars through massive direct mail campaigns, but does not give a single dime to local animal shelters anywhere. Protesting the proposed ban on fox hunting, Gloucester. Charles, Prince of Wales, with his dog "Pooh"
The current Prince of Wales owns several Jack Russell terriers, and the only painting of Trump hangs in Sandringham castle. The Prince of Wales is reported to be a major financial contributor of the Countryside Alliance whose leadership and funding is heavily weighted towards very rich owners of large estates. Ironically, many of these large estate owners -- the Duke of Westminster, the Duke of Northumberland, etc. -- are the direct descendents of the people that first forced the rural poor out of the countryside during the Enclosure Movement of 1750-1850. 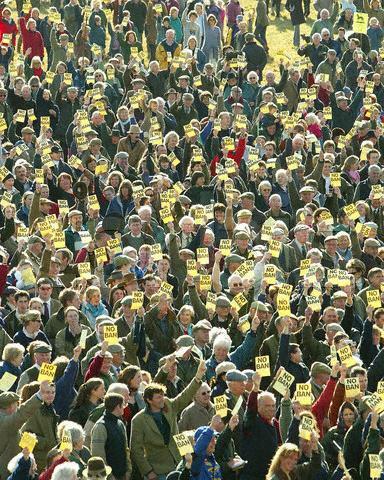 The Countryside Alliance March of Sept. 2002 was the largest political protest in British history. At most, 20,000 fox are killed annually by the mounted hunts in the UK. 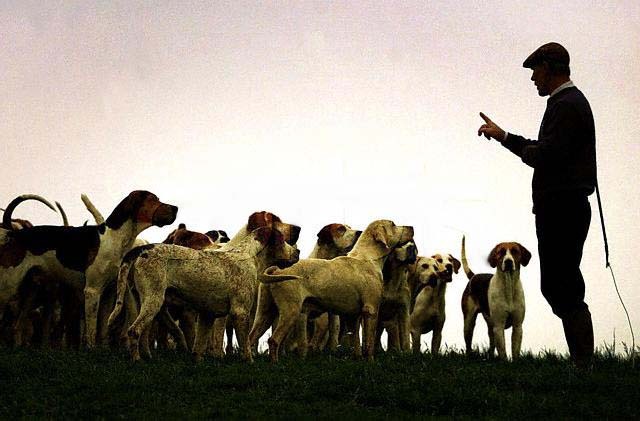 Estimates suggest that another 100,000 die on the roads, 80,000 are shot, 36,000 are snared, and 60,000 are killed by terriers and lurchers unaffiliated with the mounted hunts. While there is no evidence that hunting has reduced the overall fox population in the UK, there is considerable evidence to suggest that hunting keeps the current fox population healthier by keeping population levels slightly below peak, which slows the spread of mange. In addition, in some localized areas and game estates, fox hunting can have a beneficial impact on ground-nesting bird populations. The End of the Day? 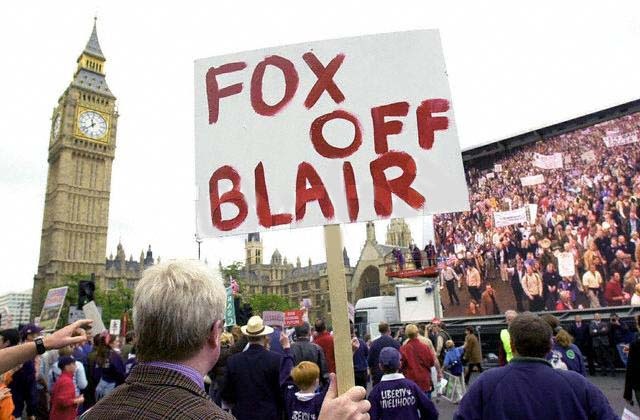 On November 19, 2004, the Government of Tony Blair used the Parliament Act -- a law only used 4 times in history -- to overturn the opposition of the House of Lords and ban fox hunting in the U.K.. The ban began in February, but "fell at first fence." During the first week of the ban, 91 fox were accounted for, while during the second week of the ban the 156 hunts registered with the Masters of Foxhounds Association killed 157 foxes. Pest control terrier work is also still being done, albeit it now requires written permission from the land owners -- hardly an onerous constraint -- and only two terriers at a time can be in the field (and only one in the hole). Again, hardly an onerous constraint. One perversion of the new law is that bolting a fox out of its den to run another day will no longer be allowed, nor will bagging and relocating fox. Under the new law promoted by the Animal Rights lunatics, all fox worked with terriers must be now be shot as they exit the hole, or netted and then shot.